Posted on January 19, 2015 by Evan G.
There is reality and there is virtual reality. In the real world, life is dull and boring for high schooler, Michael. Virtual reality, however, is the excitement of life times a million, you can do anything…be anything…and the more rules you break, the more fun it is. The bad part of this virtual world is that a gamer named Kaine has found a way to trap people in the VirtNet and the authorities know that he has to be stopped. That’s where Michael comes in. In order to stop Kaine, Michael and his two best friends that he met inside the VirtNet must go on a wild journey through the internet and hope that they will make it home alive. James Dashner seems to enjoy killing off his characters in gruesome ways. In the Maze Runner series, people die from a sickness that kills their brain and in this series people’s minds die in the virtual world but not their bodies. This completely original novel has bizarre, gory and disturbing twists and turns which kept my attention but made me lose my appetite, literally. I hesitantly recommend this book to teenagers. You may want to read the Maze Runner series first so that you will be prepared for his brilliant writing style and gore. If you’ve already read it, then you understand exactly what I’m talking about. 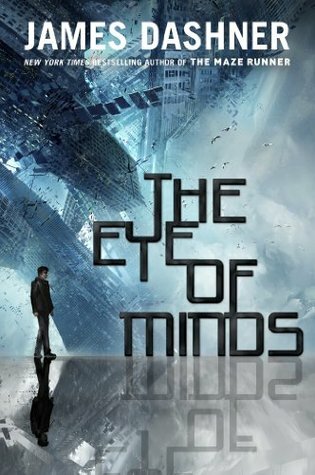 This entry was posted in Book Reviews and tagged adventure, james dashner, science fiction by Evan G.. Bookmark the permalink.